After impressing your potential employer with your CV and cover letter, now comes the most difficult yet important part – learning how to face an interview. Here are some basic interview tips that will help you prepare to give an excellent interview. Learn all the important information you need to know about the organisation you will be interviewing for by visiting their website. Check out the required skills of the job you’re interviewing for and see whether you meet them or not. If you don’t have all the skills then get ready to demonstrate the skills you have and list the places or instances where you have demonstrated them. The interviewer will predict your future behaviour from your past behaviour. You should plan your travel to the place of interview well in advance in order to avoid getting lost or missing a train. Some circumstances may be out of your control but you can always be prepared for the unexpected. It is advisable to inform the interviewer if you are going to be late for the interview. Leave early if you are not sure of the location so that you will be prepared and calm before the interview. Asking the interviewer one or two questions gives them an idea that you have researched the organisation and are interested in working for them. You can also ask them about their own experiences of working for the organisation. 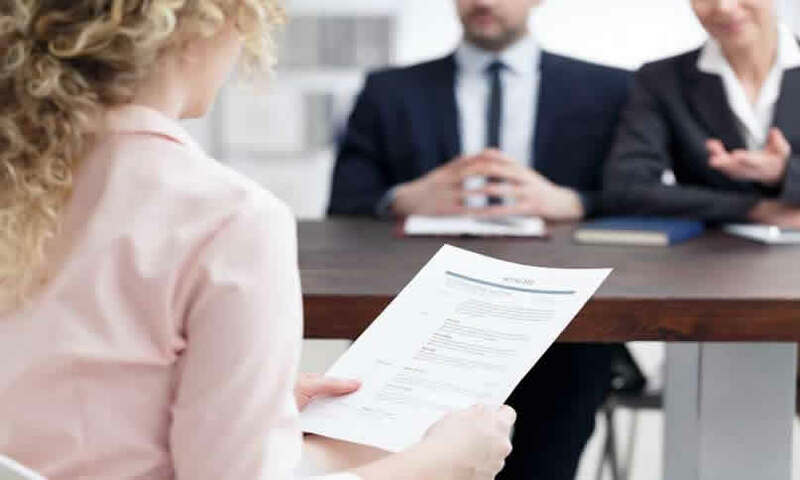 It is common to be nervous before an interview. But if things do not ago as planned, don’t panic. If you are not sure about a question, think about it for some time. Take deep breaths until you feel at ease. In case you do not know the answer to a question, tell your interviewers that you are not sure. It is not shameful to admit that you do not know. For all you know, that question may have been to check if you have the right skills and motivation. Do not try to be someone you are not. Act natural as yourself. Give them a true picture of the person you are. Show them your true personality and be relaxed. Do not play with your hair, pen or bite nails when you are tense. Sit up straight and look the interviewer in the eye. A certain amount of eye contact makes you look confident, while too much can make you seem creepy. Use just the right amount to create a good impression. Some basic interview dress tips include your attire for the interview, which should be appropriate, but not uncomfortable. Your handshake should be firm and you must maintain eye contact while shaking hands. First impressions last long. You will have prepared for a number of frequently asked interview questions. Listen carefully and think before you answer them. If you don’t understand the question, ask them to repeat it. If the interviewer asks you to demonstrate your communication skills, talents and other abilities, answer them with different examples and not the same one you used before. Think of various examples from outside work and university. Show your interest in what the interviewer is saying by smiling and nodding. Looking bored and not maintaining eye contact shows the interviewer that you are not interested in working for them. Now that you know how to prepare for your interview, go ahead and make a great brilliant impression.